The Colorado River has receded sufficiently for the Colorado Department of Transportation crews to reopen the entire Glenwood Canyon bike path today. Crews spent Monday performing maintenance and sweeping operations on the path to clear it of debris and will continue to monitor the path daily. The path, which is particularly popular with tourists, was opened in late March, but the eastern portion was closed June 1 after water rose rapidly on rivers throughout the area. The trail resurfaced this year in better shape than in 2014, when high spring runoff damaged parts of the trail, requiring repairs that kept part of it closed until late July. 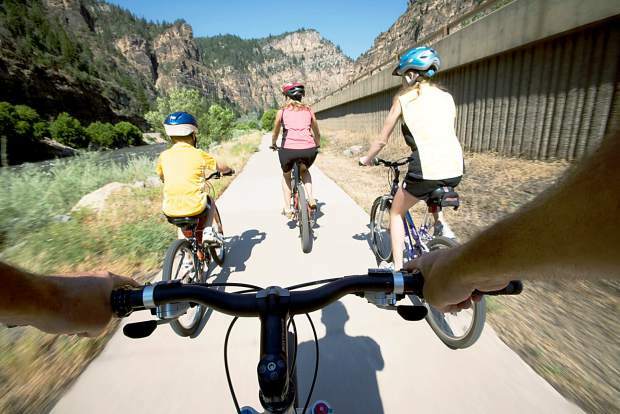 The Colorado Department of Transportation reminds cyclists and pedestrians to obey all warning and closure signs. To check on status of the bike path, visit http://www.cotrip.org and click on the “Travel Alerts” tab.